Need a dose of football during the offseason? 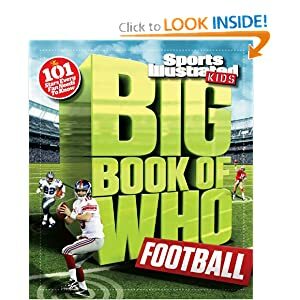 TIME Home Entertainment and Sports Illustrated Kids commemorate the brightest stars in football’s past and present with the new book: The Big Book of Who: Football, a guide to the 101 players that every young fan needs to know. The Big Book of Who: Football (Sports Illustrated Kids books, $17.95 USD) goes on sale June 11, 2013 and will be available at sikids.com/whofootball and at retailers nationwide. Champions: The players who achieved football’s ultimate prize, many of them more than once. Personalities: Men who are known for more than just the way they play the game on the field. 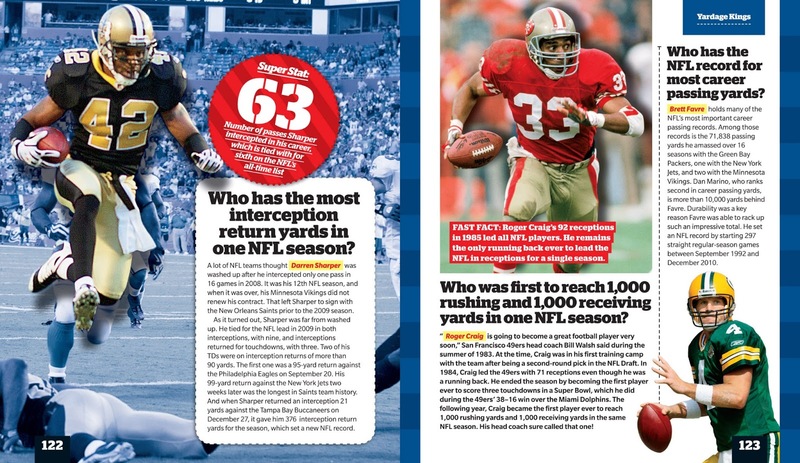 Record Breakers: Players whose feats set the standards by which future accomplishments are measured. Super Scorers: Their specialty is putting the ball either through the uprights, or into the end zone. Yardage Kings: The players who have excelled at moving their teams up and down the field. 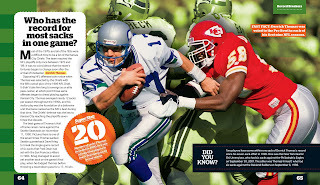 If you or someone that you know are fans of football, this is the perfect book to share and read together. This book has a little bit of everything within it to intrigue and interest any football fan. Though geared toward kids, any fan can learn form the information and statistics shared in this book and with the full color amazing photos, you will be drawn into the action too. While I love watching football, I can't say that I am an expert at the intricacies of the players as well as other information as it relates to the game itself. After reading this I can say that I know so much more than when I started and you will too!